Staying safe this storm season. Here in Australia, the word ‘summer’ conjures up images of sweltering days at the beach, sticky and humid nights, family getaways and prune-like fingertips from hours spent in the pool. It’s not only a time of festivity and fun, but also a time when dangerous storms can wreak havoc. Don’t be unprepared this storm season; follow our simple guide to ensure that your family, pets and home stay out of harm’s way. That way, you can focus on enjoying our favourite time of the year! Preparation is key when preparing for storm season. Investing a little time and energy will ensure that you and your family stay safe and that your home will suffer the least amount of damage possible. Look out for repairs: Walk around the exterior of your home, keeping an eye out for any features in need of repair. Did you spot any loose roof tiles? Are your gutters intact and clean? Do you see any large, loose branches? Fix these issues as soon as possible. Know your home: It’s important that you know the location of your home’s mains supply for water, power and gas, in case they need to be switched off during a storm. Also identify your home’s ‘safety room’, the smallest room with the fewest windows. This is the best place to house your family and pets in a dangerous storm or cyclone. Prepare your emergency kit: In the event of a large storm and power outage, it’s important to have an emergency kit close by. Include battery-operated torches, a battery-operated radio, first aid supplies, spare batteries and bottled water. For a more comprehensive kit, think of including items such as canned foods, masking tape, waterproof clothing, copies of important documents and a Stanley knife. When a storm is on the way, time is of the essence. Complete as many of these tasks as you can, but once the storm is overhead, your top priority should be getting your family and pets into a safe, secure place. Disconnect: Turn off all electrical appliances at the wall, disconnect radio aerials, and if instructed by emergency services, turn off your electricity and gas main supplies. Secure your backyard: A backyard filled with toys, furniture and ornaments can become a danger zone in a strong storm. Secure all loose items, especially your Vuly trampoline, if high winds are expected. Tip: If you are not disassembling your Vuly, we recommend that you secure it to the ground with our Anchor Kit. Our anchors use a specialised cockscrew design, meaning your trampoline will be 4x more secure than if you used straps or other types of anchors. Secure your home: If necessary, apply strong tape in a cross pattern over all exposed glass, and close all windows, shutters and curtains. Secure your cars: Park your vehicles under cover and away from any potentially damaging trees or areas prone to flooding. Gather the family: Ensure that all of your family members and pets are in your home’s ‘safety room’. If you have a pet who becomes frightened during storms, it’s a good idea to bring a familiar blanket or toy to soothe them. If you have time, check on any elderly family members or neighbours, and make sure that you have access to regular storm updates via smartphones or your battery-operated radio. 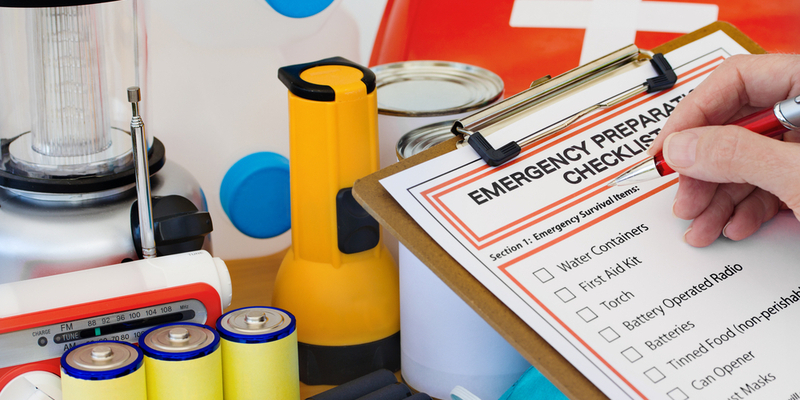 What other items have you added to your storm season emergency kit? We’d love to know of any additions which you and your family wouldn’t go without!